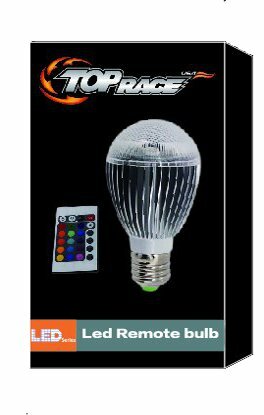 The Top Race® Remote Control Multi Color 12 watts RGB Changing LED Globe Light Bulb is a revolutionary product in decorative lighting. Featuring a spectrum of 16 colors to choose from, the bulb places you in direct control of your room's ambiance. Use the remote to control one or multiple bulbs together and simply select a color on the remote to bathe your room in light that reflects your personal style. 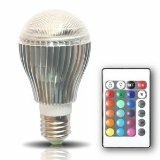 Powered by 3 vibrant Led's, the bulb places an entire rainbow of color options at your fingertips. Bring bright sunshine yellow inside when it's grey outside, or a subtle light-blue to relax you. Touch the remote and adjust the colors shade to fit your mood, from soothing pastel shades to rich, intense colors. Or, you can sit back and enjoy the adjustable pace of the automatic color changing mode. The remote control provides a total of 4 mode types including: Flash, Strobe, Fade, and Smooth. The speed of each mode can also be easily adjusted by pressing the black decrease or white increase buttons. Top Race® Bulb has a very cool built in automatic memory feature so when you remove it out of the socket or unplug it the color will stay with the last setting. 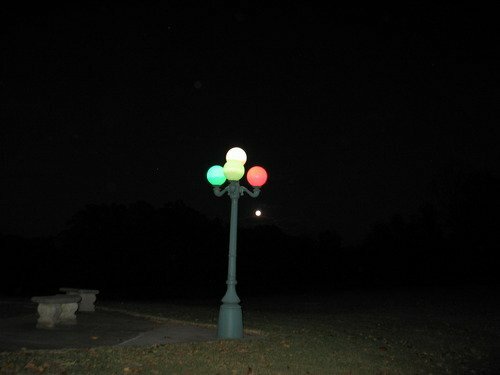 Explore light in ways you never thought possible, at any moment, for every mood, in every color.